Our goal is to provide a fun and professional dive service. Come as customers and leave as a friend. He is from Fort Worth, Texas and prides himself of running a clean and organized dive shop. Apnea enthusiast and enjoys making people laugh. Easy going personality. Yayoi is from Kyoto, Japan and likes macro marine life and diving with large schools of fish. An experienced diver with more than 20 years on the job and very patient with beginner divers. The teacher guru from Tasmania, Australia! Loves to teach people all about everything diving. Big in size big in character! 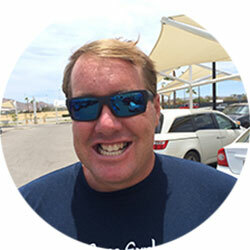 He is the only active PADI Course Director in Los Cabos. Jenny is originally from the midlands of England. She fell in love with the sea of Cortez and sharing the underwater world and bumping into sharks is her passion. The Dive Cabo team and customers enjoy her easy going and positive attitude. He’s proud to be Scottish, but fell in love with Mexico and the Sea of Cortez. 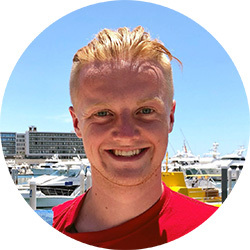 An easy-going happy person who loves the diving world and loves introducing people to even more. From Veracruz, Mexico. Can spot a whale from miles away. He is by far the best dancer of the crew and makes the dive boat a lot of fun. Pablo has been working on boats for many years and always chooses the best dive spots according to the daily conditions. From Mexico City. Gerardo has been teaching and guiding scuba divers in Los Cabos since 1997. Friendly and very knowledgable about marine life in Cabo. Gerardo is a certified dive equipment technician and a great Dive Cabo Team player. From Jalisco (Mexico) but he grew up in the Detroit. A friendly, helpful and energetic person who always offers a helping hand. From Krefeld, Germany. His relaxed attitude is contagious. Roland has been working in Los Cabos as a dive instructor for many years. He is also a great fisherman.